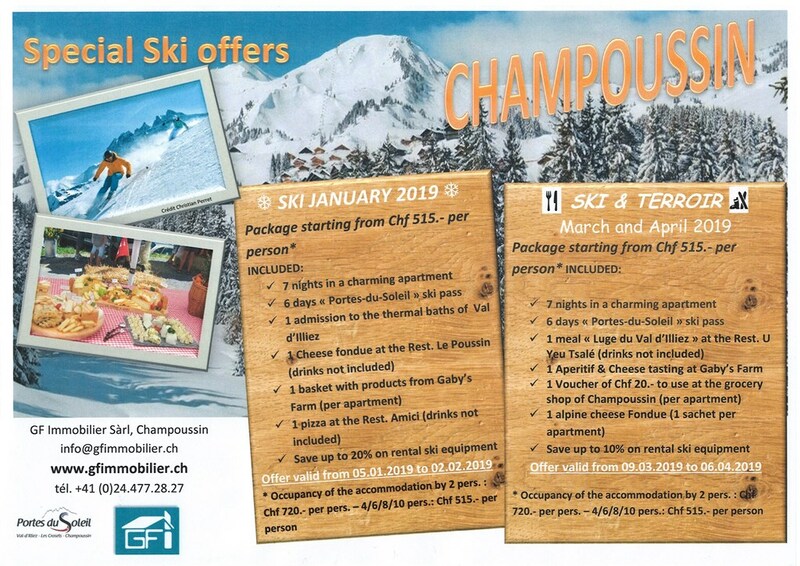 Offers starting from Chf 515.- per person by occupancy of the accommodation by 4/6/8/10 pers. 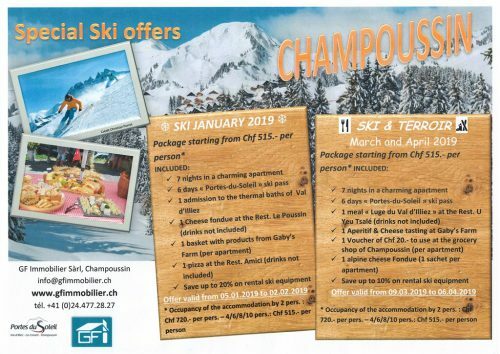 – and Chf 660.- per person by occupancy by 2 pers. With our “GF Immobilier CARD” you will get severals advantages and reductions in some restaurants, shops and activities.